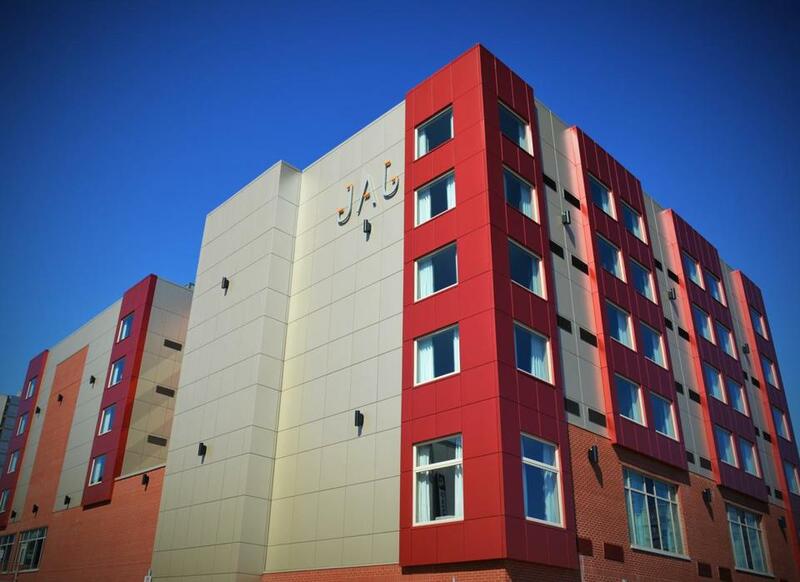 The JAG Boutique Hotel sits near the busy waterfront of St. John’s, the capital of Newfoundland. It has been undergoing somewhat of a cultural renaissance, with new restaurants, live music venues, and summer festivals to beckon visitors to the north Atlantic seaport. And now there’s boutique lodgings in addition to the standard chains and B&Bs. Enter the JAG and the first thing you notice is the addictive thrum of real rock and blues. Bars of Willie Nelson’s “Red Headed Stranger,” Nina Simone, or the Stones’ “Start Me Up” waft through a lobby lined with portraits of rock ’n’ roll greats. The theme is golden-age rock, with 84 chic rooms, each adorned with an iconic musician. Casual music fans shouldn’t worry, the bad boy effect only goes so far. Room neighbors are quiet and there was no smashed furniture being carted off in the morning. The best rooms are those with views of the working harbor, with whale watching tour boats and containers stacked deep. Corner rooms let you spread out. Full sofas, coffee tables, and desks filling the space of a room with a king-size bed. Décor is nicely understated, with pleated leather headboards, so-soft sheets and neutral tones throughout. Oversized double-pane glass windows feature thick velvet blackout curtains — perfect if you are taking advantage of St John’s notoriously good night life. When I had to leave luggage for several days, the desk staff were extremely accommodating, despite the fact that my reservation was still pending. Once I checked in, a call to the desk for thermostat malfunctions was addressed immediately and before long I was cooling off. Most rooms feature showers, not baths, but they do compensate by offering both ceiling and wall showerhead options. A signature of St John’s, the organic toiletries are crafted with iceberg water. There’s also a state-of-the-art gym that you will have all to yourself and two-bedroom executive suites with full sized kitchens and living rooms. 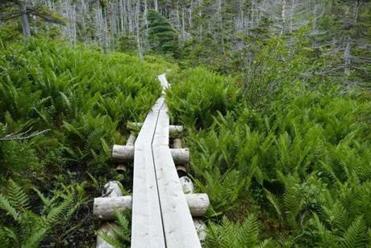 Despite recognition by National Geographic, Newfoundland’s East Coast Trail remains virtually unknown to Americans. The onsite restaurant Exile boasts a faithful local following. With warm service, they are also well known for original cocktails prepped by an award-winning bartender. Both the cucumber gin and the red pepper margarita (spiked with lime and Thai chiles) beg a second round. For dining, the locally sourced theme proves to be somewhat of a challenge on an island too boggy for cattle grazing, but seafood offerings turn out invigoratingly fresh. Steelhead trout with black rice, edamame and apple preserves makes a satisfying main course. For starters, a standout is the fried hallumi (goat & sheep cheese) salad with a smoky tangerine dressing. JAG 115 George St West, St. John’s, Newfoundland, 709-738-1524, www.steelehotels.com/our-hotels/jag. Doubles from $249 (Canadian).